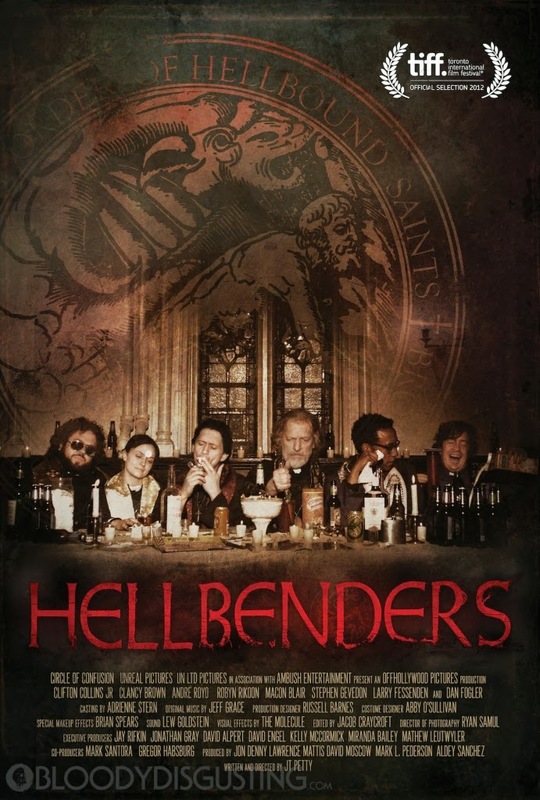 Following the classic success of the Scary Movie franchise and other spoof, Hellbenders reintroduces the genre with a vengeance from the paranormal and supernatural. Employing the usual mix of comedy, gore, uncensored fun and laughable scare tactics, the movie is surely on its way to mediocre success. This Lionsgate-produced adapted hilarity is directed and written by J.T. Petty, who also wrote the original material in graphic novel form. It stars Clancy Brown, Dan Fogler, Clifton Collins Jr., Andrew Royo and Samantha Buck, among many other cast. Watch the new trailer of comedy horror movie, Hellbenders. Hellbenders starts tickling your scary bone (if there's any) during its limited release on October 18, 2013.